Surgery is a scary thing, even for grown-ups. It is okay to be nervous or a little worried about your procedure. We know that when you visit our pediatric surgical clinic it is because you are facing a difficult or uncomfortable situation. Our pediatric surgeons and nurses can help you feel better! Our pediatric surgical staff is very friendly and great at explaining exactly what we do in ways that you can understand. We know that when kids and parents understand things, they can better anticipate what will happen and that helps reduce fear. It may also help you to know that our pediatric surgeons are Alaska’s most experienced pediatric surgeons! Dr. Roaten and his surgical team have helped many Alaskan children, just like you, to get better and stronger! Whatever questions or concerns you have, just ask, and we will help you feel comfortable and confident in our ability to provide you with the best surgical care possible! 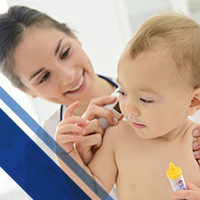 Contact us to find out more about our pediatric specialists and our children’s clinic.